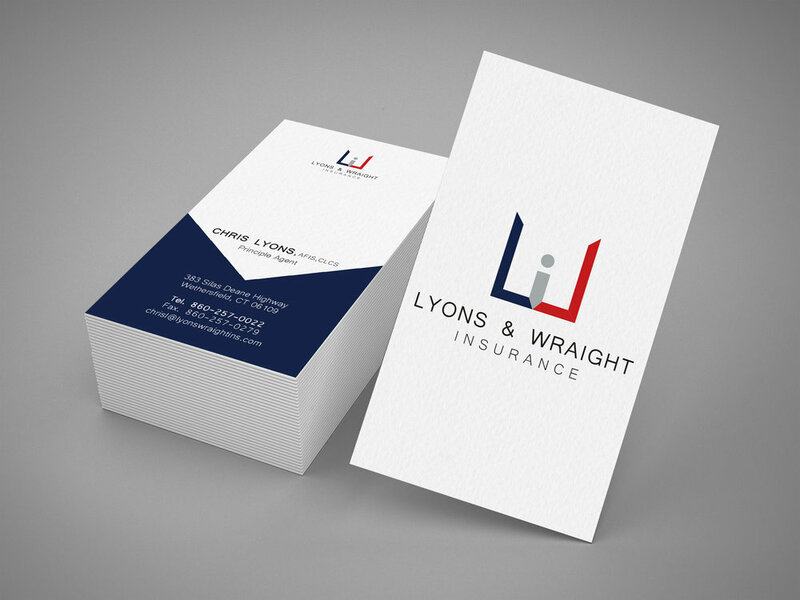 Logo and business card design for life, home, auto, and farm insurance agency. The logo is two "L's" (for lyons) which form a "W" (for Wraight) . The "i" and center of the "W" represents not only "insurance" but it is lower case in order to create what looks like a simplified person. This shows the agency's dedication to customer service and commitment to helping people.